← Sell your way out of it! 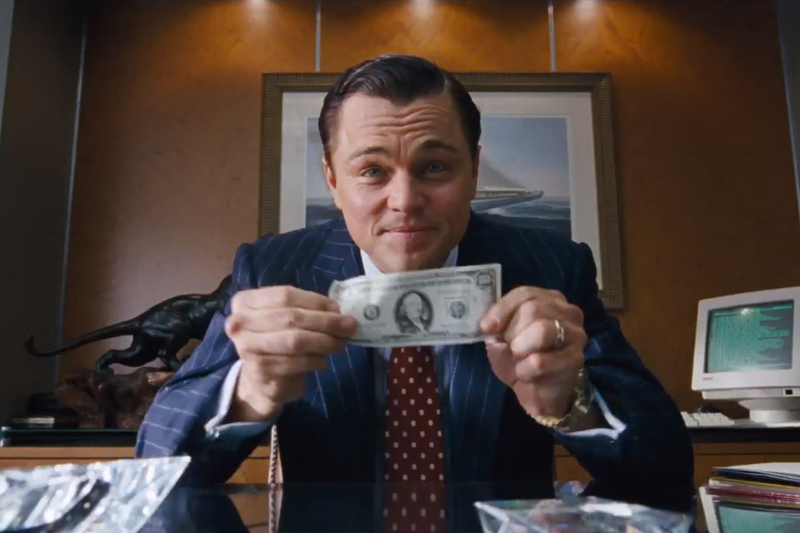 I recently watched “The Wolf of Wall Street”. I recommend that you see this movie if: You want to laugh for the better part of 3 hours and you want to learn what NOT to do in sales, business, and life–if you have any integrity, that is. Jordan Belfort (the Wolf) is a deceitful, selfish person who knowingly rips people off in order to become wealthy. And although the movie implies that he does some good for his employees, he can only do so at the expense of hurting others, therefore his good deeds are negated by his illegal and unethical tactics. He is the stereotypical snake oil salesman personified. It is poetic justice when he loses most of what he built–his business, his securities license, his marriage, and a fortune. It all comes tumbling down when he gets busted by the FBI. Early on in my insurance career I was employed by two people who had actually worked for the real-life Mr. Belfort, and as they say, the apple didn’t fall far from the tree. Even though they too lost their securities licenses, it didn’t stop them from running a very questionable insurance agency. And like their former corrupt boss, they made a lot of money at the expense of others. Which is the reason I left. So whatever happened to them? Well, ultimately they ended up on ABC News in a negative light. They had multiple lawsuits filed against them, and last year were forced to surrender their insurance license and were shut down permanently. Don’t you think they would have learned better after what they had already been through in the stock market? Honest people are safe and secure, but the dishonest will be caught. Sleepless in . . .
Why is it that some people don’t realize that the reward in sales (and business) goes beyond money? Helping others and looking out for their interest allows you to sleep better at night. You’ll have a clear conscience and you can celebrate a job well done. And you don’t have to live in fear, or worry that you’ll eventually get exposed or caught. In business and in life, honesty is the best policy. There’s no shame in the truth game, but there is shame if you get caught being dishonest or deceitful. And sooner or later, you will get caught. How can anyone feel good about “success” that they had to lie and cheat to achieve? Such “success” is not real or lasting, it’s merely a facade. You don’t deserve the money you make, and you’re not very good at what you do if that’s what it takes for you to succeed. Whether you’re looking for a customer or a spouse, you can’t be very confident in your talents or qualities if you have to lie or cheat to succeed. It’s even worse if you don’t learn from your mistakes. It might seem tempting to cut a few corners to make a quick buck, or cover up a blunder in judgement (in other words, lie). But instead of letting “gold rule”, you are better off remembering the golden rule: do unto others as you’d have done unto you. Are you treating people the way that you want to be treated? If not, do a self assessment as to how you’re treating others. Is it coincidentally the same as you’re being treated? Life is a boomerang. Lie and you’ll expect that others will lie to you, hug someone and they’ll hug you in return. Decide now what you want to put out there, and what you want to attract in your life. Then represent yourself at the level of integrity you know is best. Do not be misled to the slaughter. In everything, integrity creates long-lasting success. If you have integrity, you’ll have higher-quality business interactions and more rewarding personal relationships. It’s simply sowing and reaping. © Rob Liano and Rock Star Success Coaching, 2014. Unauthorized use and/or duplication of this material without express and written permission from this blog’s author and/or owner is strictly prohibited. Excerpts and links may be used, provided that full and clear credit is given to Rob Liano and Rock Star Success Coaching with appropriate and specific direction to the original content. This entry was posted in Sales Training, Success Coaching and tagged coaching, decaprio, effective sales, honesty, integrity, jordan belfort, karma, marketing selling, motivation, reaping, rob liano, rock star, rock star sales trainer, sales, sales coaching, sales training, sowing, success coaching, wolf of wall street. Bookmark the permalink.